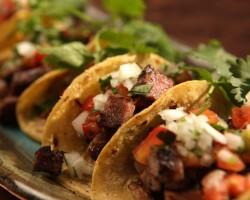 Mixteca Foods is a Glendale Catering service provider that deals with authentic Mexican food. Established 28 years ago, Mixteca Foods is the brainchild of Billy Tsakiris, a native of Pheonix with a passion for preparing delicious Mexican foods. All foods offered by this restaurant are made from fresh farm produce. The restaurant has specially built a reputation for its Sonoran Mexican foods. Mixteca offers delicious foods for weddings, corporate events, parties and other occasions and all meals come with complimentary chips and salsa bar. 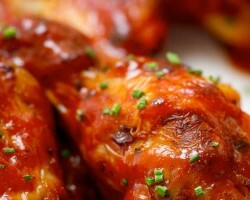 The popularity of chicken wings in America is undeniable. It is for this reason that The Wing Counter serves the best wings for weddings, graduations, sporting events and other occasions. Abbreviated as TWC, this Glendale-based caterer has built a reputation for always being on time. Clients can choose from 14 different sauces and dry rubs. For couples looking for affordable catering in Glendale, AZ, TWC offers its services at competitive prices. Also, this catering business has no limit on the number of wings it is capable of delivering at an occasion. 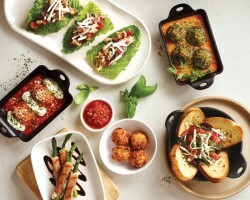 Of the many catering companies in Glendale, none is as reputed at offering authentic Italian catering services as Carrabba's Italian Grill. The local caterer provides a touch of authentic Italian cuisine from the exotic islands of Sicily. This has made the restaurant a cult-like status in Glendale. 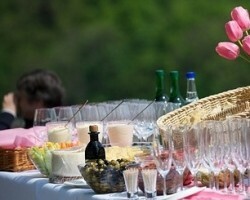 Every catering order comes inclusive of a ready to serve package, plates, spoons and napkins. To give it a competitive edge over some of its competitors, Carraba’s Grill offers deliveries to any location in Glendale, Arizona. Also, clients can pick up their order at the restaurant. Haus Murphy’s has been the number one source of authentic German cuisine in Glendale for over 18 years. Located in downtown Glendale, this Bavarian style restaurant boasts an exquisite lunch menu characterized by traditional Bavarian delicacies. Due to the restaurant’s unique menu and impeccable catering services, it has received numerous awards as well as many positive reviews. All foods served by this catering business are prepared by local German cooks who are well-versed in the art of making authentic German foods. 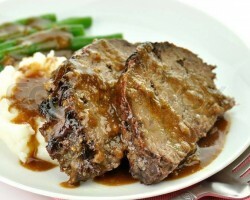 Campell’s Catering Company is one of the top wedding catering companies in Glendale. Exceptional customer services and delicious foods epitomize the company’s approach to service delivery. Clients quickly fall in love with this company’s cheap and affordable services. Also, the company’s tradition of customizing each menu to suit the needs of different clients has endeared it to many Glendale residents. At the heart of this company’s exceptional customer services is a commitment to offering clients personalized services and undivided attention.